Low-Noise Quick-Release Propellers: The 9455S propellers have a brand new aerodynamic design giving the Phantom 4 series an impressive noise control performance. When used with the Phantom 4 Pro V2.0, up to 4dB (60%) of aircraft noise is lowered during takeoff and landing. Noise reduction is also enhanced when used with the Phantom 4 Pro, but not as much. Compatibility: The 9455S low-noise quick-release propellers are specifically designed for DJI's Phantom 4 Pro V2.0 Phantom 4 Pro, and Phantom 4 Advanced (all sold separately). 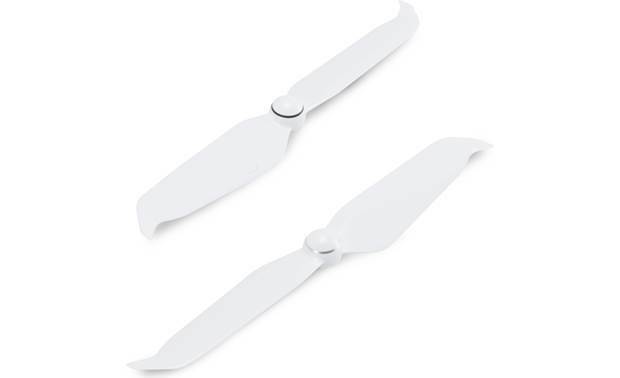 Searches related to the DJI Phantom 4 Low Noise Propellers Replacement propellers for DJI Phantom 4 Pro/Pro+ V2.0 quadcopters.